Professor Sophia Zoungas became Head of the School of Public Health and Preventive Medicine in January 2019. She brings her expertise as an academic leader, physician researcher and clinical endocrinologist to the role. Sophia trained in medicine and clinical research in Australia, first joining the School in February 2011, and serving as Head of the Division of Metabolism, Ageing and Genomics from February 2017. She is the Principal Investigator on the STAtins in Reducing Events in the Elderly (STAREE) study, the world’s largest study exploring the preventive effects of statins in the healthy over-70s. Honesty, integrity, transparency, commitment, passion and excellence. These are all values that matter to me personally, and I bring them with me to my role as Head of School. I believe they are key to producing discoveries that will change millions of lives for the better, and to training the next generation of public health professionals who will build on that knowledge. She leads multiple clinical and health services research groups and collaborates extensively both locally and internationally. Sophia is unique in having skills in clinical medicine, clinical trials and translation of evidence into practice in the specialty areas of diabetes, cardiovascular health, kidney disease and healthy ageing. Her research has led to a paradigm shift in clinical practice: she has shown legacy benefits from earlier intensive glucose control in people with type 2 diabetes, as well as an adverse relationship between hypoglycaemia and cardiovascular events (such that glucose management is now individualised). She has over 200 publications in peer-reviewed journals including New England Journal of Medicine, Lancet, Annals of Internal Medicine, British Medical Journal, and Nature Reviews. A strong project leader, Sophia has successfully sourced funding from Australia’s National Health and Medical Research Council (NHMRC), Heart Foundation, over $50 million from philanthropic and commercial sources, as well as Fellowships from the NHMRC, Heart Foundation and Royal Australasian College of Physicians. Her impact has been recognised through the Wikramanayake Diabetes Research Award 2016, the Women and Leadership Australia Award 2015 and the Monash Health Rising Star Award 2015. A key opinion leader, she’s recruited high calibre international and national graduate students through her standing as a clinician researcher, as a lecturer and through her clinical appointments. 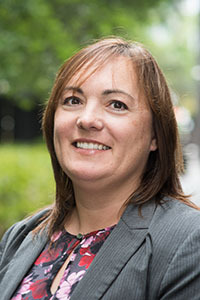 Within the School and in the community, Sophia is an active leader, Chairing the School’s Research Governance Committee, holding Ministerial Appointments, serving as President of the Australian Diabetes Society, Director of National Association of Diabetes Centres, and as the Director of Diabetes Australia. Her clinical practice at Monash Health and recently Alfred Health relates predominantly to acute inpatient and chronic team-based management of diabetes from youth to old age. Professor Zoungas balances these accomplishments with managing a family including two teenage daughters. Her ultimate vision is to lessen the burden of non-communicable disease and prolong independent living through research and education.